1/2 cup white sugar/ brown sugar if you like. Preheat the oven at 350 degree F.
Refrigerated cans give the best results. Get the biscuits out of the can. Cut them up into quarters or smaller bits if you like. Each can would make 32 bits if cut in quarters or a lot more if cut smaller. Add the cinnamon and sugar in a large ziploc bag. Add in the cut up biscuits. Seal the bag and shake the bag thoroughly to coat the bits evenly. Set aside. In a small saucepan, melt the butter, and sugar. Once the sugar and butter melt to form a liquid, turn it off. 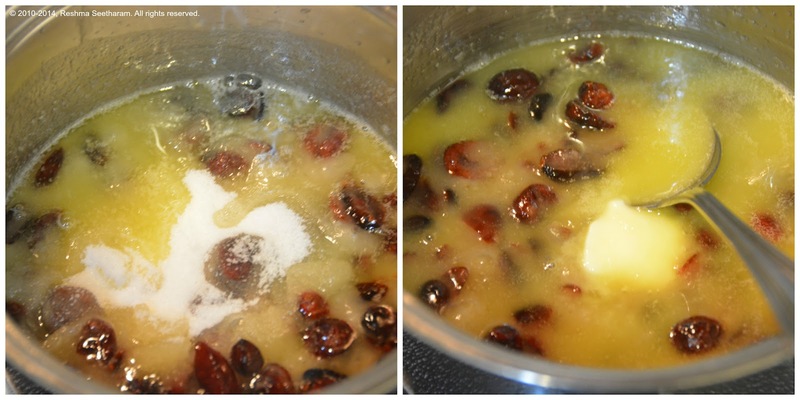 (I added the cranberries in them, so they could bake into cranberries with a toffee texture. If you like to have them soft, just sprinkle them directly on the bread while you assemble.) 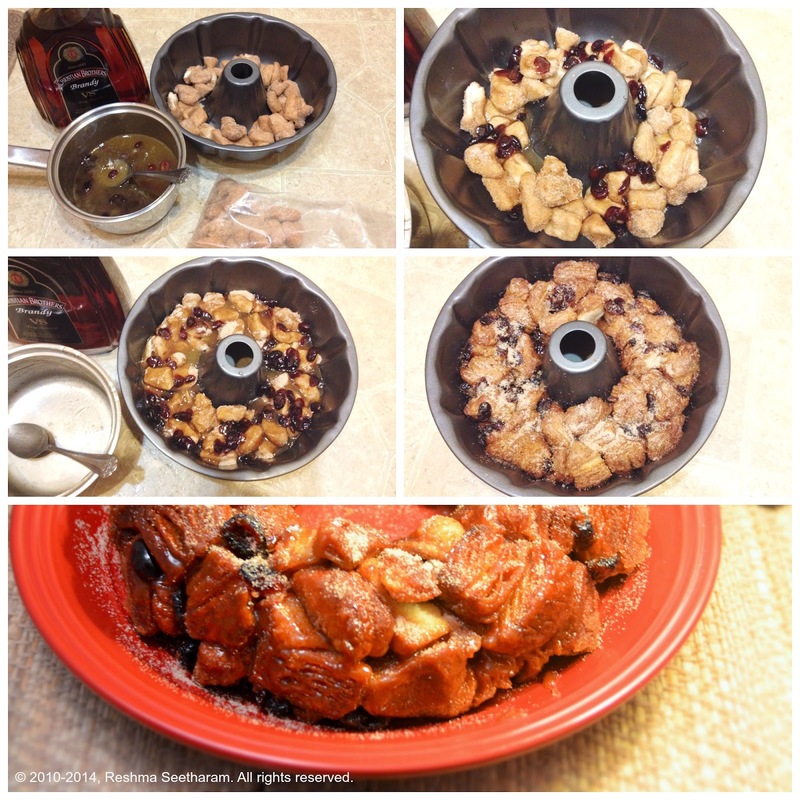 Once the mixture cools down from hot to warm, add in the brandy and stir. Spray a generous amount of cooking spray to the inside of the bundt pan. 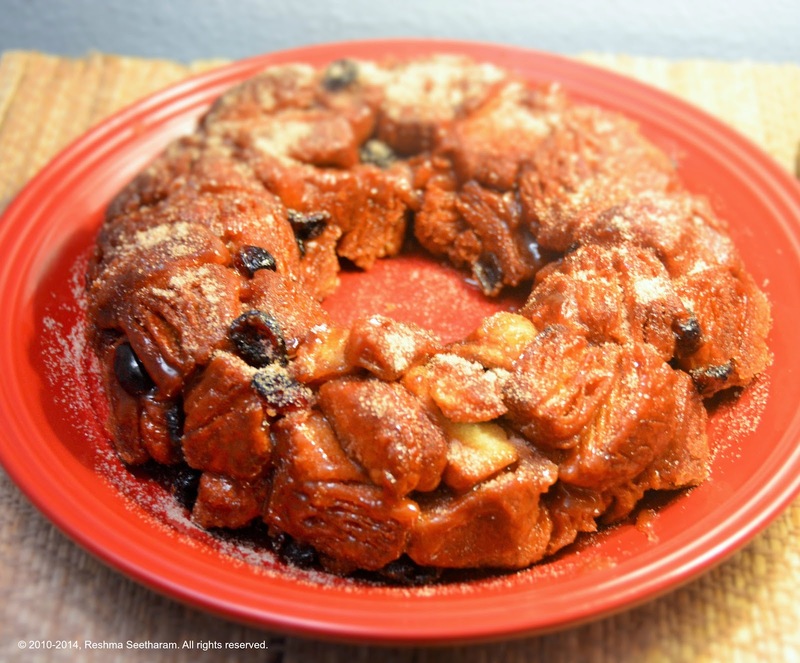 Place half of the cinnamon sugar bits into the bundt pan. Pour half the glaze and cranberries over it. Pile the second half of the biscuit bits. Pour in the entire liquid and toss in the remaining cranberries. Bake the bread in the oven for about 25-30 minutes. Pluck out a biscuit bit with a fork to see if it has cooked through. Remove, and invert it on a serving plate. Sprinkle any remaining cinnamon sugar and serve warm. Enjoy!